Aiphone manufacture a variety of intercoms for specialised applications such as ‘through-glass’ communication. These systems are often seen at Service and Information Windows, Ticket Windows, Pharmacies and Drug Dispensaries. 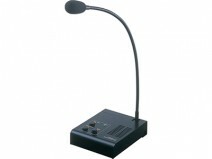 The IMU-100 system provides clear communication using an industry-first acoustic tube with noise cancelling microphone. It features voice-actuated hands-free communication.